The weather was so bad in the midwest last weekend that we weren’t able to play most of our games. It rained pretty much non stop from Friday morning through Sunday morning. 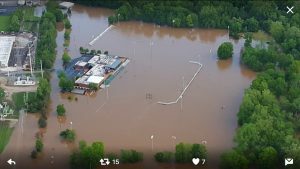 They had it even worse in St Louis where many of their fields are built in 100 year floodplains that flooded much more recently than that. 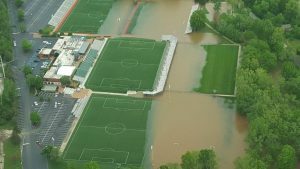 These are photos of the St Louis Soccer Complex during the flooding. Obviously many people were impacted by the flooding and I don’t mean to minimize the loss by focusing on the cancelation of some games. A great deal o of cleanup will be necessary to make these complexes safe and usable again. Our thoughts go out to all those impacted by the flooding and how hopes for a speedy recovery from the damage to homes, businesses and public spaces. This week’s question comes from Nick. 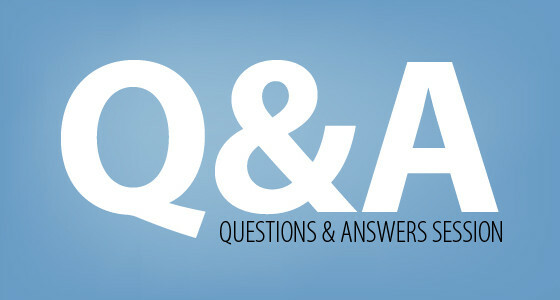 “I had a question about teaching players formations. I coach a high school age girls varsity team and we’ve predominately played a 4-2-3-1 for three seasons, but last year I sprinkled in a 3-4-3 and a 5-4-1 as game situations dictated. I wanted to know if you had any suggestions for teaching the responsibilities of different positions in a new formation on the field. What I do now is set them up on the field in the formation and then walk them through a few scenarios with either 11 v 0 or a small number of opposing players. I share my answer to Nick on the show. It includes how to make ‘Walkthroughs’ more effective and how to use Attack vs. Defense games to make the environment competitive while still teaching the key roles and responsibilities of each position. 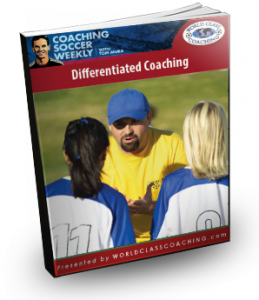 This week I talk with Sammy Grantham who is an educator and soccer coach. We talk about the common challenge of training a team that includes players of different skill levels and experience levels. Even if you’re working with a very competitive team you still have some differences in skill level and suggestions that Sammy has can improve the quality of training for your players too. We’re all coaching teams but we need to make sure we’re challenging our players at a level that will help them maximize their potential. They are FREE but you will need at least a Free Membership to the Training Center in order to view and print them. They’ll be available there for eight weeks before they’re placed in our archive which can be accessed at any time by Elite Members. Next week I’m going to look at how we should be including decision making in our technical training to get the most out of these activities.